Learn: JSTL (Java Standard Tag Library) - Example to validate inputs through JSTL. 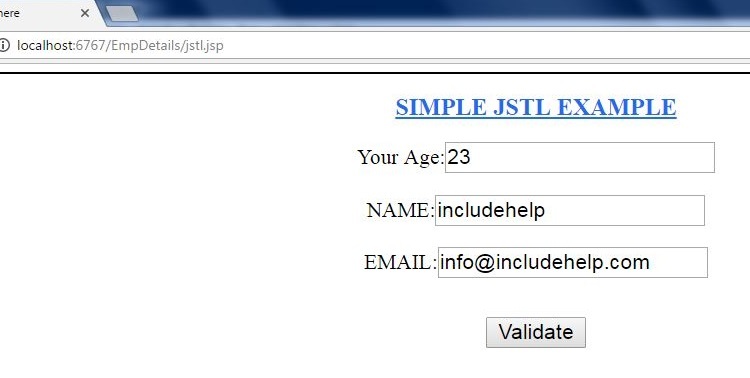 JSTL is a collection of JSP tags which combines the core functionality which are common to many JSP applications. JSTL supports to iterate, conditionals, handle database operations. And it also used to operate the XML, SQL as well. For all this you need a jar file of JSTL you can download it from http://tomcat.apache.org/taglibs/index.html and add it to your classpath. If at all you're using Eclipse just add them to lib folder and buildpath as well. 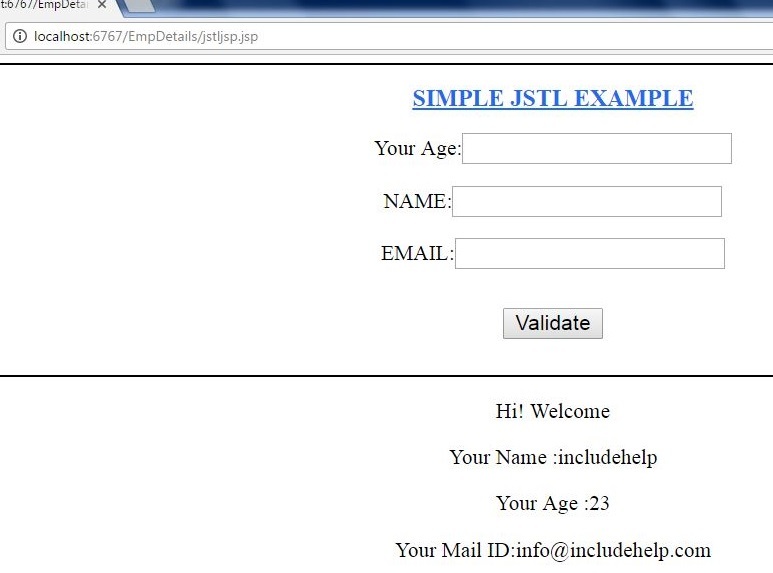 This is the basic page where we take the inputs and validating that if the user entered age is above 18 or not. Here, we are validating age, if it is below 18, an error message will display else welcome message with input details will display. By simply, you can write a code without again writing the java code whereas JSTL has got html format with tags open and close.